Again the description is vivid and original, and the sound (the balance of ‘ghostly blocks’ and ‘dusty light’ for example) almost hypnotic. Of course a novel written entirely in this style might prove rather tedious, but Warner also has another great talent as a writer and that is in his reproduction of everyday speech. 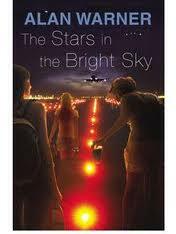 He is particularly good (as seen in previous novels like The Sopranos) with the dialogue of adolescents (“Look. Crimmo’s getting a big huge massive brassing beamer.”) but here is equally adept at convincingly portraying the more Kelmanesque (surely a word by now) speech of the railway workers. Distinctions are clear, from the slang-laden dialogue of Andy Galbraith, to the slightly more formal speech of Simon, the novel’s protagonist, right the way through to the public school inflected Bultiudes. Warner is without doubt a skilled craftsman and here he uses that skill to lovingly recreate a particular time and place – the north-west coast of Scotland in the 1970s, his fictional community of the Port. He’s not the first Scottish novelist to return to their roots in recent times – both Janice Galloway and John Burnside have done so in an explicitly autobiographical way. 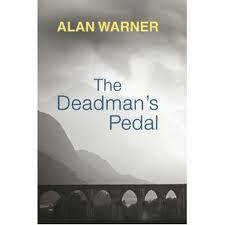 It would not be unreasonable to assume that The Deadman’s Pedal contains some autobiographical elements (and it does, though Warner would only be seven in 1973 when the novel begins), particularly given that Warner has said he began writing it prior to Morvern Callar. A number of critics have described it as Warner’s most ambitious novel to date and it certainly has a sense of history that his previous novels have eschewed: here is Britain before Thatcher, a railway line threatened with closure staffed by militant rail-workers whose ideal is to be paid while not working. That they are all so much older than Simon suggests a vanishing era. The political fights to come are echoed in Simon’s father’s displeasure at Simon’s decision to join the railways – he runs a private haulage company. The Deadman’s Pedal is also a coming of age story as Simon not only enters the world of work but of love too. This includes a fascination with Varie Bultitude, the daughter of the local aristocracy (the novel opens with a prologue recounting the Queen’s visit to the Bultitude’s residence, Broken Moan, in 1961). Her brother, Alexander, meanwhile introduces Simon to culture in the form of stolen paperbacks and LPs. This is no doubt intended to introduce issues of class into the narrative, but seemed a little too Iain Banks, a Fitzgerald view of the rich rather than a Hemingway one. The novel features some wonderful set-pieces (again, this has been a common response to it): sexual encounters with Nikki’s sister and later with Varie, a railwayman’s wake, and the flooded track near the end. Equally it has an impressive cast of characters, not only those already mentioned but John Penalty and on the railways, Simon’s father (there’s another great scene where he sacks one of his workers), and Bobby Forth, a fellow school leaver. However, there are times when it feels Warner is a little too in love with his characters, particularly when they are talking, and some scenes would probably have benefitted from editing. Above all, though skilfully written, the story itself can feel a little ordinary at times and certainly doesn’t resonate in the way you would expect a ‘state of the nation’ novel to. Of course, that isn’t Warner’s fault – it may simply be that the novel is not as ambitious as some have claimed. You are currently browsing the archives for the Alan Warner category.